Prevention is always better than treatment and less costly! 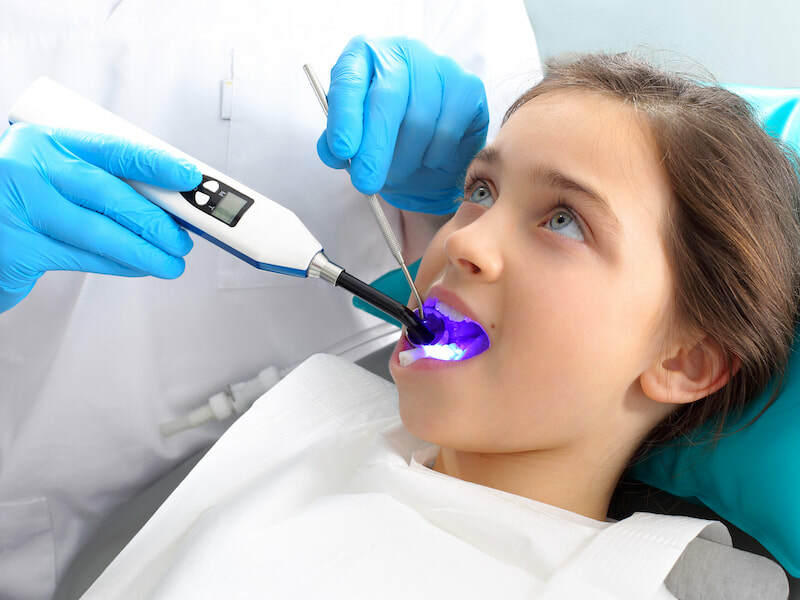 Preventive dental care for healthy patients generally includes two dental cleanings per year along with dental radiographs (x-rays) in conjunction with an examination by one of Rabe Family Dentistry’s dentists. If you are prone to developing cavities and/or suffer from gum disease, research has shown that more frequent cleanings and/or examination may help to improve the health and longevity of your teeth. Your dentist can also help determine if you could benefit from fluoride and/or sealants. At Rabe Family Dentistry, we offer dental cleanings for both adults and children. Professional cleanings performed by a licensed dentist or hygienist are just as important as daily brushing and flossing. Plaque, a sticky substance that forms in the mouth from food, saliva, and bacteria accumulates on the teeth and gets inside the space between the gum line and the tooth. If not removed, plaque hardens into a substance called tartar or calculus. Tartar or calculus must be scaled off of the teeth by a licensed dentist or hygienist using specialized tools and training. If the plaque and calculus/tartar is not removed regularly, it can irritate the gums and cause swelling, making it easier for more aggressive bacteria to accumulate and potentially cause irreversible damage to the bone and gum tissues that support your teeth. 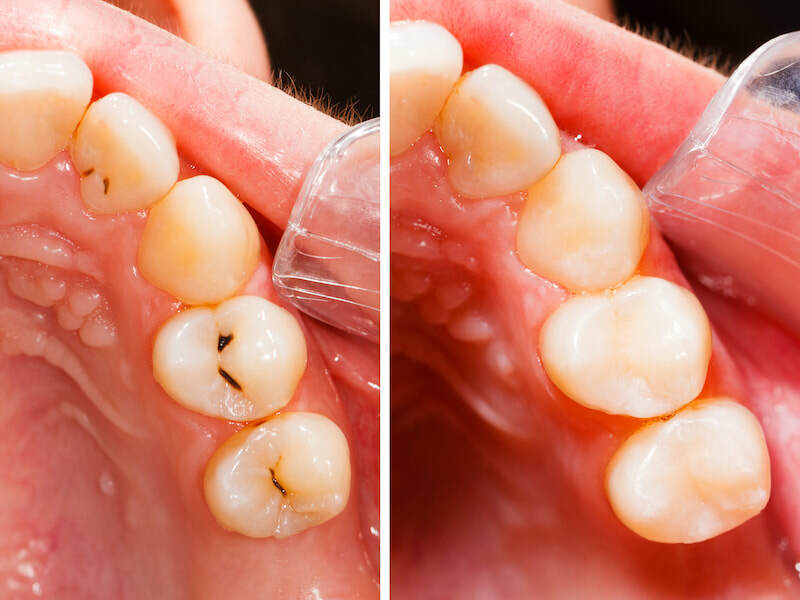 ​A regular cleaning, called a prophy, is a preventive procedure for healthy gums that includes scaling and tooth polishing to remove plaque, tartar/calculus, and stains above the gum line. 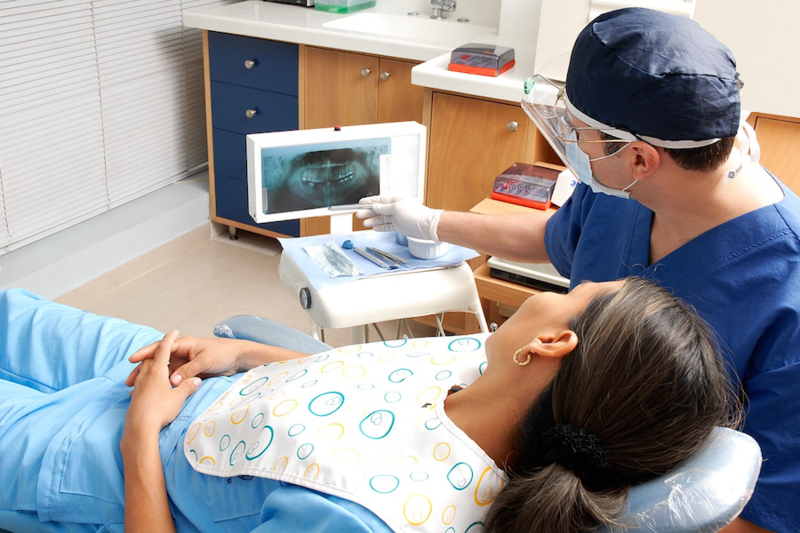 ​​Digital dental x-rays reduce radiation exposure by up to 90% over traditional systems. They are faster, allow instant viewing, and eliminate the use of hazardous chemicals. 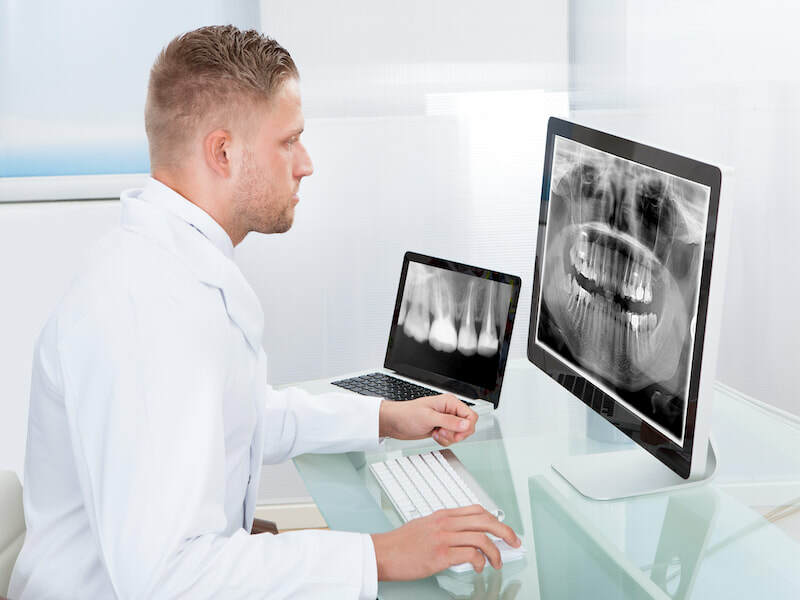 With these advances, the measure of radiation that exists in dental x-rays is similar to the exposure that the average person encounters around digital devices and home appliances. In fact, you receive more radiation from flying across the country or spending a day in the sun than you do from a full mouth series of digital dental x-rays! ​We determine the need for x-rays depending upon your individual needs. A full mouth series and/or panoramic x-ray is typically recommended for new patients and is usually good for 3-5 years. Bite-wing x-rays of the top and bottom teeth together are taken at recall (check-up) visits and are recommended once or twice per year to detect new dental problems. Unfortunately, the issues (inflammation, redness, bleeding, bad breath, and bone loss) presented by gum disease (periodontal disease) are virtually pain-free and many people do not know they have this disease and require treatment until it is too late. That is why it is responsible for up to 70% of adult tooth loss. Your dentist, in conjunction with your hygienist will check for signs of gum disease (periodontal disease). If plaque/bacteria and tartar/calculus are not removed (by brushing, flossing, and regular dental cleanings) they will begin to accumulate below the gum line and destroy the fibers that hold the gums to the teeth, creating deeper pockets until the bacteria begin destroying the bone that holds the teeth in place. The first line of defense against gum disease is a non-surgical treatment called scaling and root planning (SRP). This is typically done under local anesthesia and can require anywhere from 1 – 4 visits. Your doctor or hygienist will utilize deep instrumentation, below the gum line in the periodontal pocket, to remove plaque/bacteria, tartar/calculus, and other contaminants. While scaling and root planning (SRP) is the first step in managing gum disease, regular after-care known as periodontal maintenance needs to be performed every 3 – 4 months in order to manage the disease and attempt to halt progression. This is necessary because research has shown that the bacteria that cause inflammation and gum disease (periodontal disease) need to be removed at this frequency in order to control the disease process. Periodontal maintenance involves deeper instrumentation to remove newly formed tartar/calculus and debris. Based on your comfort level, we may need to use local anesthetic. Research has shown that almost everybody has a 95% chance of experiencing some type of tooth decay over the course of their life. When tooth decay does occur, it is very important to remove the decay, clean the tooth, and repair the tooth with an appropriate restoration. Additionally, lost or missing teeth should be replaced to protect your overall health. Removing a tooth and not replacing it can have long-term consequences that include movement of the surrounding teeth in a way that can decrease their longevity. You don’t have to live with damage, discoloration, or gaps when it comes to your teeth. 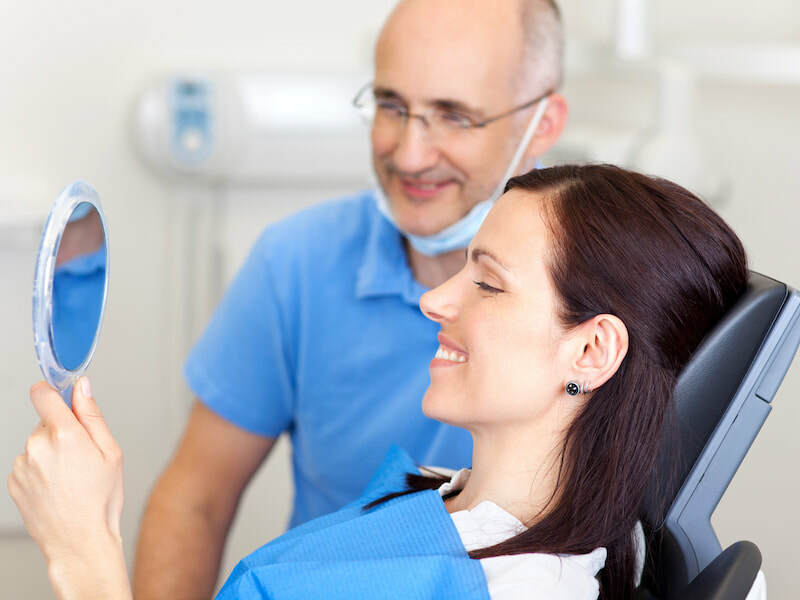 At Rabe Family Dentistry, we can help you decide on the procedure that is right for you and your unique situation. Fillings are used to restore teeth affected by small to medium sized areas of decay (cavities) or to restore chipped or worn areas of your teeth. Typically, local anesthetic is used for this procedure. The decayed or affected area of the tooth is removed or prepared and then filled with a composite filling. In some situations, with chipped or worn front teeth, aesthetic bonding of composite material is generally much less expensive than veneers and crowns; however, bonding typically does not last as long as veneers or crowns. Root canal therapy or endodontic treatment can actually relieve pain caused by an infected tooth or prevent pain when a tooth has a dead nerve but has not yet become infected. This can allow us to save your tooth and avoid more costly replacement procedures. This procedure typically involves one to three visits. 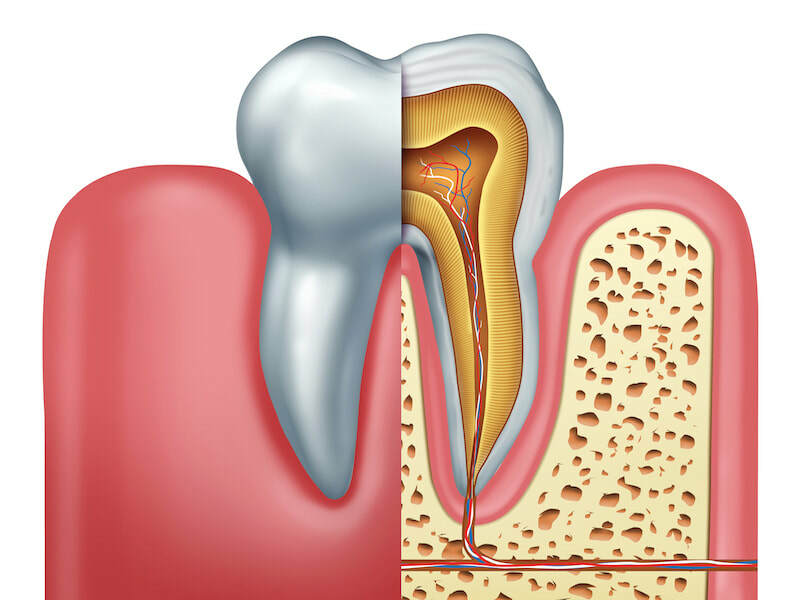 Usually, root canal therapy is performed using local anesthetic. Your dentist or endodontist (a dentist who specializes in problems with nerves of the teeth) will remove the affected tissue. Next, the interior of the tooth will be cleaned, shaped, and sealed. Finally, the tooth will be filled with dental composite. Sometimes, with some anterior teeth this is sufficient to finish the procedure; however, in most cases the tooth will require a crown to protect the tooth and restore function. 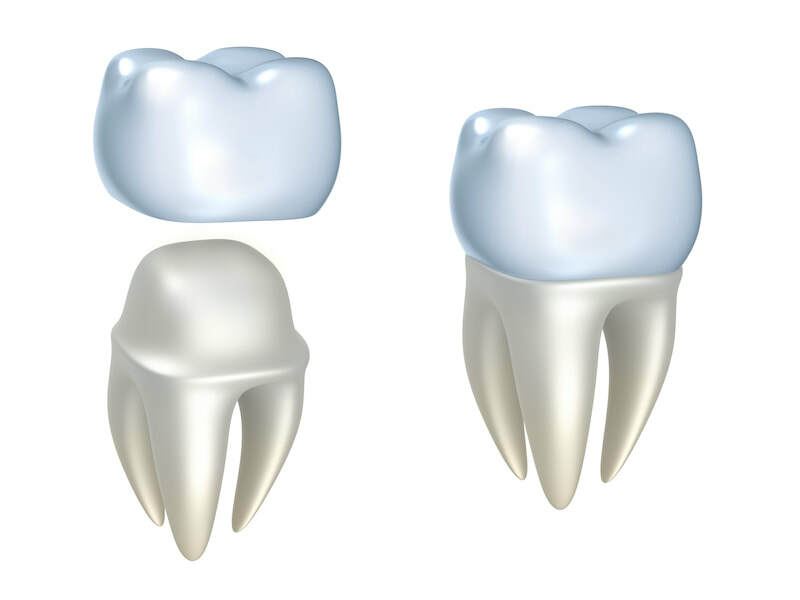 Crowns are dental restorations that cover a broken, decayed, or cracked tooth or a tooth with a very large filling. They can also correct cosmetic concerns such as discolored or misshapen teeth. Crowns require two steps. First the tooth is prepared. Then an impression is taken and sent to the lab so that they can fabricate your customized crown. You’ll likely wear a temporary crown while we wait for your crown to be made. 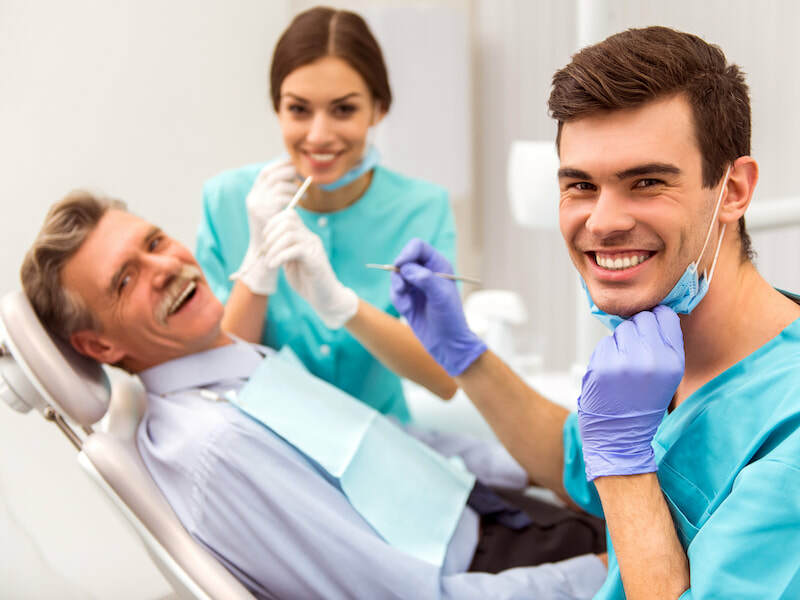 At your follow-up appointment, we’ll take off your temporary crown and carefully place the permanent one after ensuring proper fit, bite, spacing, and color. Crowns can be made from a variety of materials, all with their own advantages and disadvantages. Your dentist will help you decide on the best material for your unique case. A bridge replaces a missing tooth while preventing the remaining teeth from tipping and moving, which can lead to shortened lifespan. If missing teeth aren’t replaced, more force is put on the remaining teeth, which can cause these teeth premature structural failure. 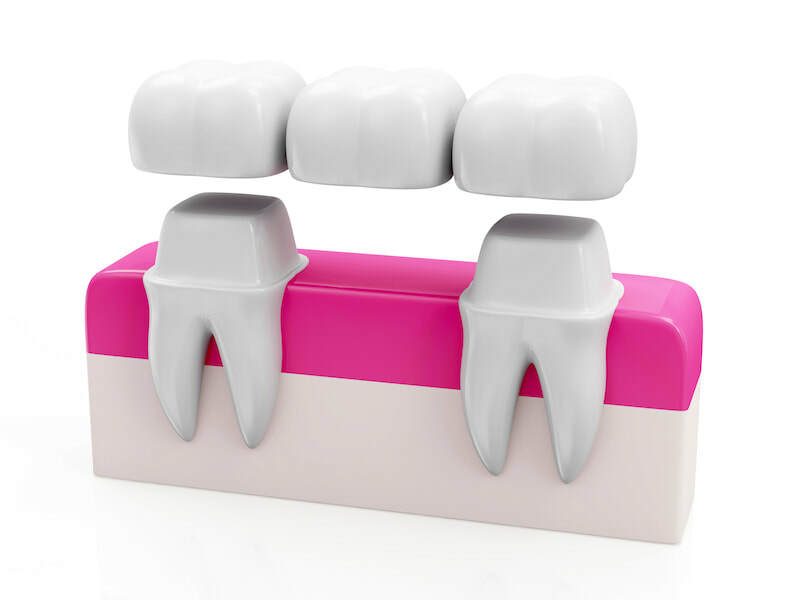 For a bridge, the teeth on both sides of the missing tooth or teeth are prepared for a crown and then a solid unit is custom-made to span the area of the missing tooth in order to literally, ‘bridge’ the gap. The bridge is permanently bonded and will not come in and out of your mouth. Proper care of your new bridge will extend its life and requires cleaning underneath it on a daily basis. Sealants can help prevent decay (cavities) that often occur on the chewing surfaces of back teeth. In fact, sealants on permanent molars reduce the risk of cavities by 80%. Sealants are material that flows into the pits and grooves in your teeth and is hardened. It prevents food and plaque from getting into these areas and forms a physical barrier against acid attacks. While most insurance companies only cover sealants for children, many adults can benefit from them as well. Your doctor or hygienist at Rabe Family Dentistry will be happy to discuss the possible benefits of this preventative treatment option for you. Fluoride has been referred to as nature’s cavity fighter. It is a naturally-occurring mineral that can help prevent cavities in children and adults. Fluoride, when given in the correct dosage, makes the outer surface of our teeth more resistant to the acid attacks that cause tooth decay (cavities). There can be both systemic and topical benefits depending on age and developmental stage. 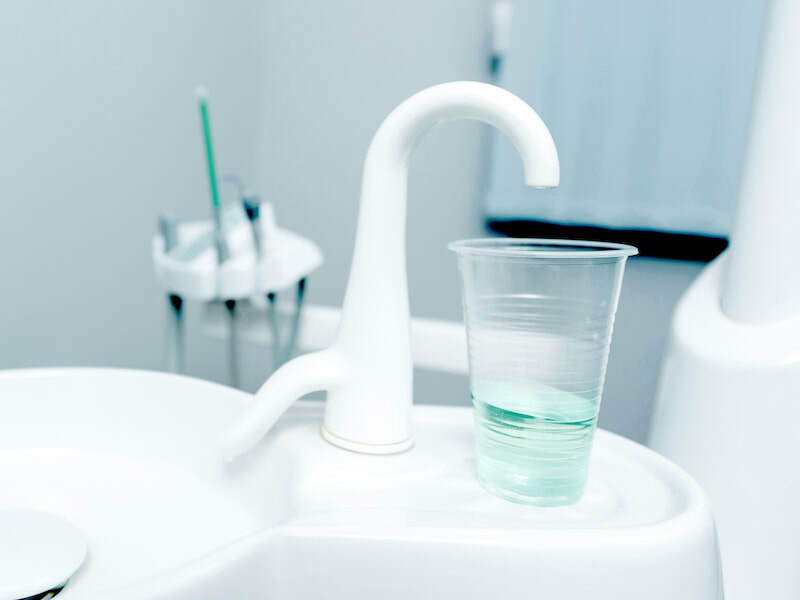 At Rabe Family Dentistry, our hygienists and doctors will be happy to discuss which delivery methods and dosages might be appropriate to benefit you. 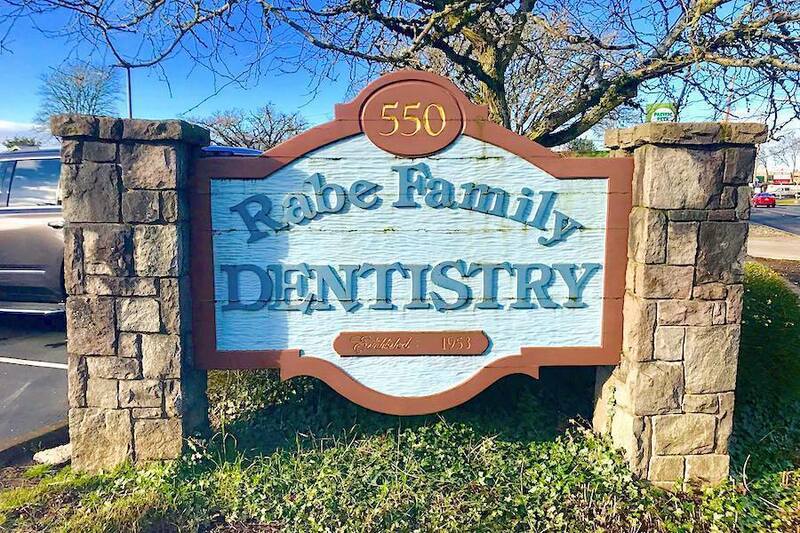 ​Rabe Family Dentistry offers Preventative Dental Care and Restorative Dental Care to both children and adults. So whether you're in need of a simple cleaning or have damage to a tooth you need to address, we're here to help care for all aspects of our patients' overall dental health. 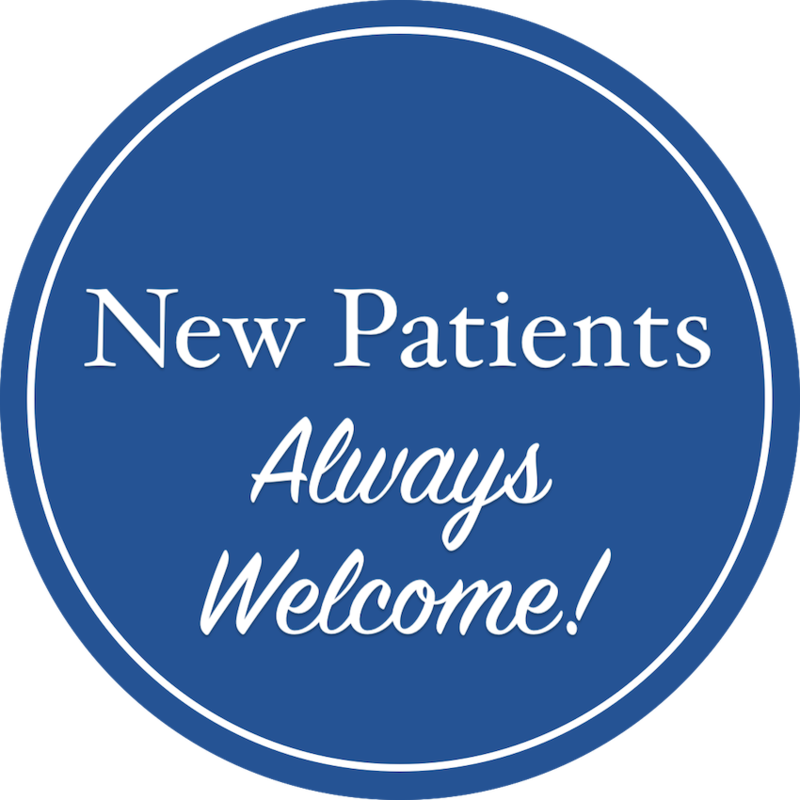 We're accepting new patients and are happy to work with any insurance carriers that allow patients to see the dentist of their choosing. Our Patient Care Coordinators and Insurance Coordinators will work with you to determine the best options for your dental care. 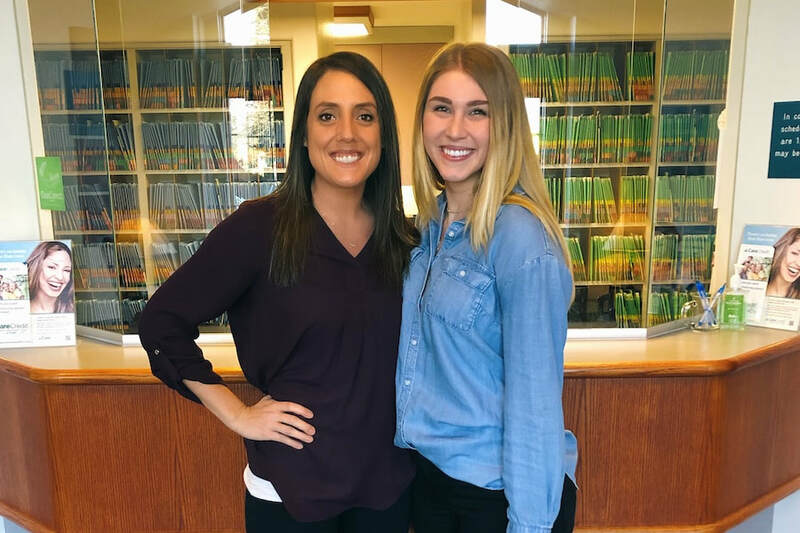 Call our patient care team at 503-648-3912 to learn more about Preventative Dental Care and Restorative Dental Care from Rabe Family Dentistry!